Click the appropriate link below in ‘Upcoming Shows’ to book tickets. This adrenaline-infused Swan Lake on Ice will bring you to the very edge of your seat. It is the day before Prince Siegfried’s 21st birthday, and the Prince and his friend Benno are having an impromptu party in the Palace courtyard. The Queen arrives and tells Prince Siegfried that he must choose his future wife, marry and inherit the Kingdom. The Queen informs her son that she has organised a Grand Ball to be held in the Palace tomorrow evening to celebrate his birthday, and that he must choose his future bride from the invited female guests. Count Von Rothbart is an evil sorcerer who is half-man, half-bird. He lives in human form amongst the mortals of the Palace and acts as a mentor to the youthful Prince. Rothbart has made a promise to his daughter Odile that he will secure the hand of the Prince in marriage to her. Amidst the impromptu party, Rothbart introduces the Prince to Odile. His eye is caught by her striking beauty, but although Odile dances like no other girl at the party, she fails to impress the Prince, who feels ill at ease in her company. Prince Siegfried becomes tired of the proceedings and protests to the Queen that he is unhappy at being forced to choose a bride and asks to be excused from the party. The Queen is upset at her son’s distress and asks his loyal companion Benno to take him hunting to ease his troubles. She hands Prince Siegfried the family ring and tells him that he must place it upon the finger of his true love. The young group set off for the woods to go hunting, although Benno can see that the Prince is troubled. Benno takes Prince Siegfried to the enchanted lake, where the Prince asks to be left alone to contemplate his future and the decision that lies before him. The court is celebrating the 21st birthday of Prince Siegfried at a Grand Ball at the Palace. The Prince sits with the Queen, who is accompanied by Rothbart. Benno introduces the Princesses who arrive from Italy, Spain, Hungary, Russia and Ireland. The visiting Princesses are all keen to win Prince Siegfried’s hand in marriage, but he awaits the arrival of just one person. As the evening progresses, the Prince becomes disappointed at the failure of Odette to appear. The court is then surprised by the arrival of Odile, dressed not in her usual dark clothes, but in those of eminent beauty. Her appearance takes the Prince’s breath away and he moves to the floor to dance with Odile. The Prince is intoxicated by her beauty and forgets Odette as he dances with Odile. Odette then arrives at the Palace just as the Prince declares his love to Odile. Rothbart produces the Prince’s family ring from his jacket pocket. Prince Siegfried places the ring on the finger of Odile, thereby dooming Odette to live her life forever as a swan. As he does this, he sees Odette crying and fleeing from the Palace, and realises his terrible mistake. Odile and Rothbart are jubilant, whilst Benno consoles the distraught Prince. Odette is deeply upset at her betrayal by the Prince , but more so by the interferance of Rothbart in her life. Odette decides to confront Rothbart and seeks to understand the reasons behind his evil treatment of her. At the enchanted lake, the swans (in human form) console a heartbroken Odette. Prince Siegfried arrives and asks forgiveness for his folly. Odette embraces the Prince, and tells him that she will love him forever, although her curse may never be broken. Odile arrives at the lake in search of Prince Siegfried and sees the love he has for Odette, and Odette for the Prince. Odile listens to their story and understands that her father, Rothbart, has played an evil trick, and refuses to be part of her father’s terrible plan. Odile hands the ring back to Odette. Prince Siegfried now realises that he was stupidly tricked by the evil Rothbart and his own faint heart. Arrogantly, Rothbart challenges Prince Siegfried to a duel, telling the Prince that if he has the courage to kill him, he may release Odette from her curse. This show of true love by Prince Siegfried and the death of Rothbart, release Odette from her curse, so that she can live in human form with her beloved Prince. Although Swan Lake is now revered as a masterpiece of classical ballet, it did not have a promising start. The legend of the Swan-Maiden goes back centuries in both eastern and western cultures, and women who turn into birds and vice versa were popular themes, with the swan being particularly favoured due to its grace. Tchaikovsky originally wrote his own version of Swan Lake with his brother Modeste and the composer Migorsky, in which there were two swan maidens characterised in black and white, and performed as separate roles. In May 1875, Tchaikovsky was asked to compose a score by his friend Vladimir Petrovich Begichev, who as the head of the Russian Imperial Theatres in Moscow, had written the story outline for a new ballet – Swan Lake. Very little is known about this original production of Swan Lake – there are no notes, techniques or instructions concerning the ballet written down; all that remains are personal recollections and memoirs that were written a long time afterwards and therefore the subject of much debate. We do know that Tchaikovsky had a good deal of influence over the story’s development, but in Begichev’s story, the swan maidens were to be performed by one ballerina, and thereby introduce the element of confusion which is so crucial to the story’s outcome. The choreography was created by Julius Reisinger, who was ballet master in Moscow at the time, but it appears that he and Tchaikovsky worked separately, rather than to the usual tradition of the time whereby the ballet master would lay down a clear ground plan of choreography which the composer would then follow. After deciding on the type and placement of dances, Tchaikovsky composed his music and Reisinger set about the choreography after the music was written. Rehearsals for the first performance in Moscow began in March 1876, before Tchaikovsky had finished the score, and went on for an incredible 11 months. The set designs were borrowed from other productions or made cheaply. Conceived by three different men, who did not work together, the result was a shabby and incoherent look. The choice of ballerina to perform Odette seems to have been somewhat political. The reigning ballerina, Anna Sobeshchanskaya, had offended the Governor General of Moscow by accepting jewels from him, then marrying a dancer, Stanislav Gillert, who promptly sold the jewels. The role was unexpectedly given to the lesser dancer, Pelegya Karpakova, as a benefit performance. The offending Stanislav Gillert, although not notably a gifted dancer, was given the role of Siegfried. It is not known who danced the role of Odile as the programme was printed with three asterisks. This was no doubt to promote the mystery about the identity of Odile, but leaves us today wondering if Karpakova took both roles or if Odile fell to another dancer. Yvette Chauviré in a pose from Swan LakeAnna Sobeshchanskaya was permitted to dance Odette at the fourth performance of the ballet. Having no confidence in Reisinger’s talents, she went to St. Petersburg to seek the help of the illustrious choreographer Marius Petipa. She requested that he create a new third act pas de deux for her, which he did to the music of Ludwig Minkus. Tchaikovsky was appalled to learn of her plan to insert another’s music in his score. After long discussions he agreed to write additional music, basing it ‘bar for bar, note for note’ on the Minkus music so that Petipa’s choreography could be retained. Despite all the above, and that for years Swan Lake was dismissed as a failure, it may not have been the disaster we imagine. Reisinger was already disliked by the critics and, therefore, they were no doubt prejudiced against him. Swan Lake received 41 performances at a time when new ballets usually received no more than 18. Either on account of time restraints or personal preference, Petipa assigned the choreography of Swan Lake to his assistant, Lev Ivanov. In the meantime Tchaikovsky died, and it was in 1893 at a memorial concert that Lev Ivanov’s restaged choreography for Act 2 of Swan Lake was first seen. The dance was not only a success in its own right, but it also changed the way ballets were conceived by incorporating the corps de ballet as an integral part of the drama and relating the steps directly to the symphonic structure of the music. Ivanov was able to understand Tchaikovsky’s music yet not be overwhelmed by it. Due to the success of Ivanov’s Swan Lake, Petipa was charged with producing the full length ballet. A new script for the ballet devised by Petipa is believed to have been created at this time. He made several changes, most notably to condense the ballet into three acts. The choreography was to be new as well. He added the technically demanding pas de trois and a waltz that was very balletic in style and far removed from the original concept of peasants dancing. On January 27, 1895, two years after Ivanov’s Act 2 debuted, the world saw the premiere of the Petipa/Ivanov version of Swan Lake that is thought of today as the standard version of the ballet. 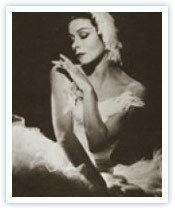 The leading roles of Odette/Odile were danced by Italian ballerina Pierina Legnani. She performed with such grace and discipline, the audience and everyone else who saw her claimed she set the bar. Every girl to dance the part of Odette/Odile after her was compared to Legnani’s performance. Legnani introduced the now famous thirty two fouettés (a fast whipping turn on one foot) into the Black Swan pas de deux – a move many ballerinas resent because of its extreme difficulty but which if successfully performed can launch them to stardom. Since then the ballet of Swan Lake has been the subject of numerous revisions and restagings, so that by the mid 1940s it was widely recognised as the paradigm for ballet. Swan Lake danced to Tchaikovsky’s score was one of the major artistic exports of Russia, with such great names as Anna Pavlova and Rudolf Nureyev leaving their mark on this enduring masterpiece.